Your teeth are important and it’s imperative that you take good care of them throughout your life. If you have a tooth that has started to die and the nerve tissue inside the tooth begins to deteriorate, a root canal is required. Without this treatment, an infection can result in an abscess. A root canal will save both your tooth and the tissue surrounding it and enables you to keep your tooth. 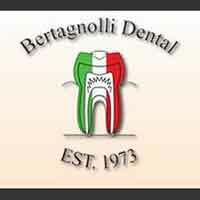 At the office of Dr. Bertagnolli, we provide solutions – including dental implants, root canal care and more – to improve your oral and overall health. If you need an oral surgery dentist in Westminster, call us today. In addition to oral surgery, we have a comprehensive list of restorative, general and cosmetic dental services to meet the needs of your family. Our mission is to provide the highest quality compassionate care to every patient through personalized attention. We are constantly striving to provide the best in patient care. When you need an oral surgery dentist in Westminster call and schedule your appointment today.